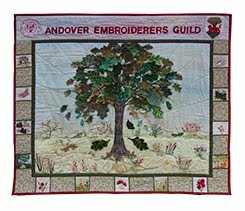 Another exciting month ahead and a busy time for those taking part in the Capability Brown Project or the Travelling Books. 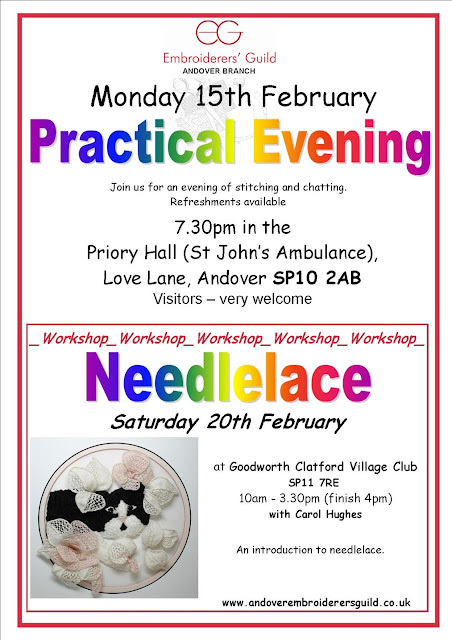 February's meeting is a practical evening and on Saturday 20th, Carol Hughes is leading a workshop for beginners Needlelace - details below. Nicky still has some places so it's not too late to book.